We are UK’s leading protein drinks wholesale suppliers, supplying over 3500 clients inside London and loads of other clients around UK with quality protein drinks. We supply all kind of protein drinks to a wide range of facilities including shops, hotels, restaurants, cafes and many other facilities. 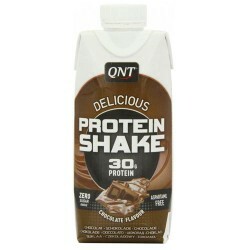 We have wide range of wholesale protein drinks products ready to be delivered to you. Grenade Carb Killa Shake - Choc Mint | 8 x 330ml Product DescriptionSeriously indul.. Grenade Carb Killa Shake - Cookies & Cream | 8 x 330ml Product Description .. Grenade Carb Killa Shake - Fudge Brownie 8 x 330ml Product DescriptionDelicio.. Grenade Carb Killa Shake - White Chocolate | 8 x 330ml Product DescriptionSmo.. Product DescriptionThe Delicious whey shake is made from 100% pure whey protein, containing 30g .. UpBeat Protein & Vitamin Water - Blueberry & Raspberry 12 x 500ml Product Descr.. UpBeat Protein & Vitamin Water - Summer Lemon 12 x 500ml Product Description ..
Vieve Protein Water Strawberry Rhubarb - 6 x 500ml Product DescriptionSomething ama..